New from our friends at Motawi Tileworks! 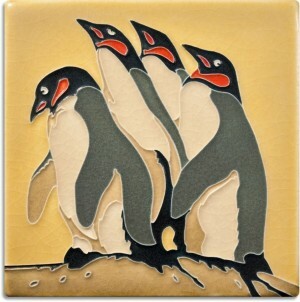 The design for the Paine's Penguins tile is from the 1921 lithograph by Charles Paine. These penguin's look stunning in any finish!